Food trucks and snack vans are mobile kitchens that offer meals on wheels to busy folks on the go… until the day they break down and are left abandoned. Food trucks are specialized vehicles that aren’t easily un-specialized – especially by owners who presumably have fallen on hard times. Sometimes the only thing to do is abandon the chewed-up hulk in a field somewhere. In the case of the former “Mr. Food Go Go!”, that field is situated in Ravenhall, just west of Melbourne, Australia, and it’s brought to us by Flickr user Ken O’Toole (KENO Photography). In the Old West, cowboys saddled with a terminally ill or mortally wounded horse would “take it behind the barn and shoot it”. 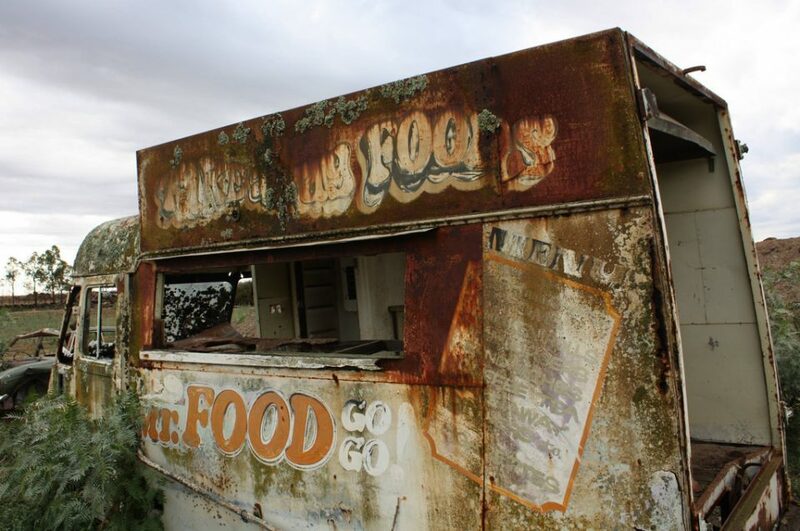 Times have changed but it seems were still shooting our meal tickets, for example this rough & ravaged former food truck parked permanently in driest West Texas. 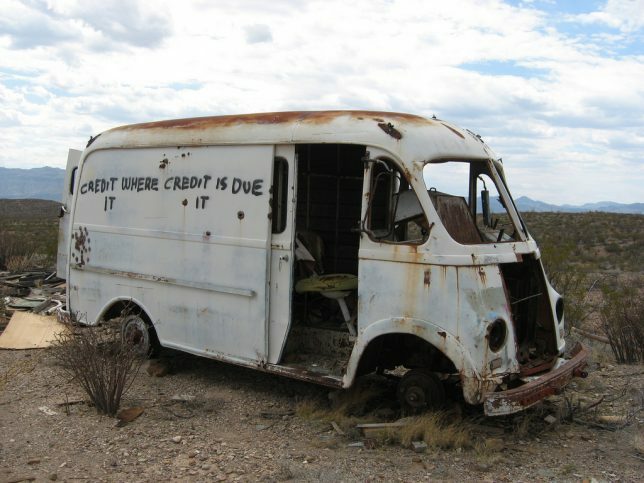 Flickr user food shark gets the “credit” for snapping the bullet-riddled step van above on April 18th of 2008 near Chinati Hot Springs. Tired old VW Microbuses are fetching big bucks on the collector car market these days but this particular trippy hippie transport looks to be far too er, wasted for that. 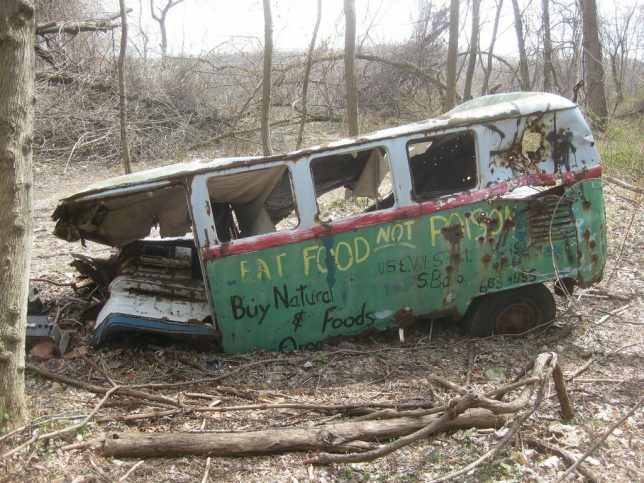 At least it lived out its last days doing what most minibuses dream of: serving up natural non-poisonous vittles to a new generation of Deadheads. 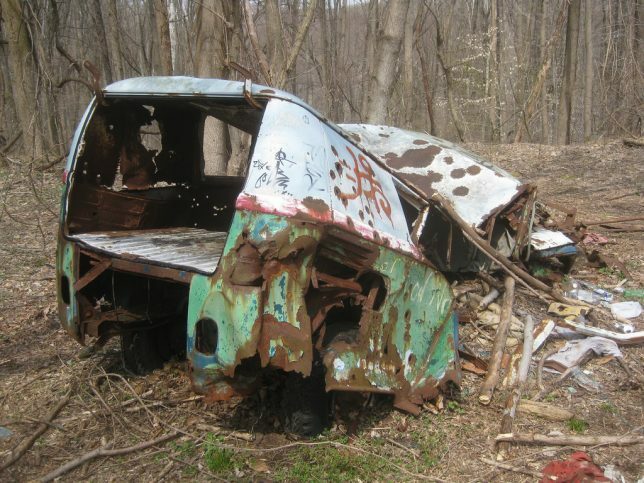 Flickr user travelr16 caught up with the busted bus on April 3rd, 2011 on the campus of abandoned St Mary’s College near Ellicott City, Maryland. 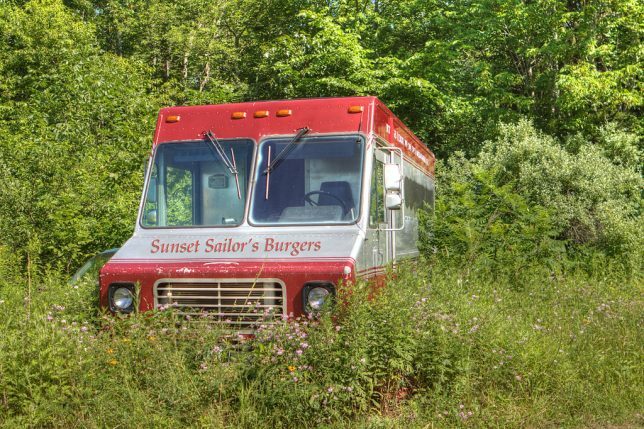 “Sales are slow,” states Flickr user Alan (sunset sailor) of the above land-locked former burgermobile. Judging from his user name, this would appear to be his very own retired rolling fast-food emporium. 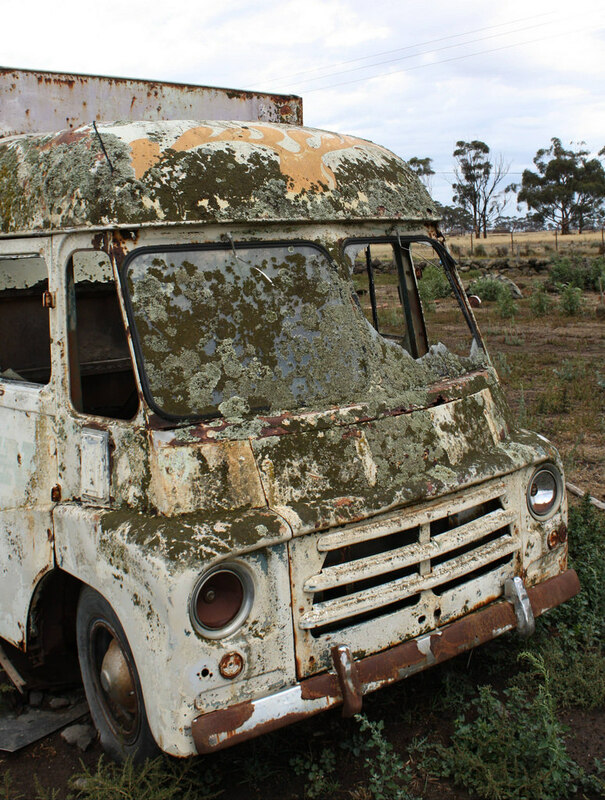 The truck looks to be in respectable shape, at least compared to some of our other examples, though it’s in danger of being swallowed whole by the steadily encroaching vegetation. Sean Spicer, are you in there?